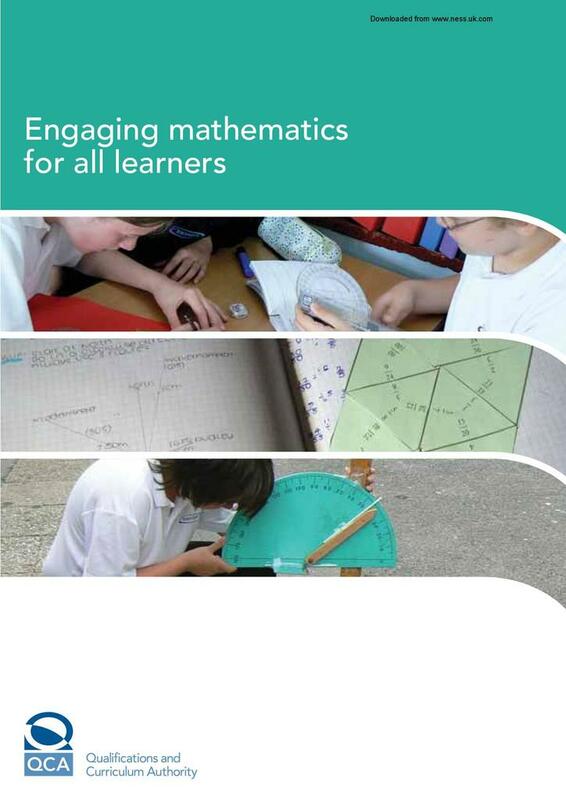 Engaging Mathematics for All Learners, produced by the Department for Education, draws together the experience of teachers and their learners in a series of case studies. The rich variety of content, from using recreational activities as a starting point for classroom mathematics in a residential special school to using fashion design in a mathematics and art initiative in a selective girls' school, illustrate some of the possibilities. Working with other subject disciplines, exploiting ICT and making sense of mathematics and statistics in the media are some of the innovative approaches adopted by schools to enhance the learning of mathematics. The guide contains guidance on how to plan a compelling learning experience and some strategies for devising and working with rich mathematical activities.